Tamika Washington, AFSP & CPA Candidate is the owner of Washington Enterprise Tax Services with locations in Arkansas and Texas. She has worked with businesses and individuals helping clients with tax planning and tax preparation since 2001. Tamika offers personalized services that only a small firm can provide for individual and small business; tax preparation, bookkeeping and payroll services. Tamika takes pride in integrating all disciplines into a holistic, client-centered approach towards maximizing your after-tax income and protection of your assets. Tamika earned a Bachelor of Arts from the University of Arkansas at Little Rock and a M. B.A. and a Certification in Accounting from Keller Graduate School of Management. Tamika resides in Allen Texas with her husband and son. She is a member of the Allen-Fairview Chamber, Allen Rotary, and AHS PTA. 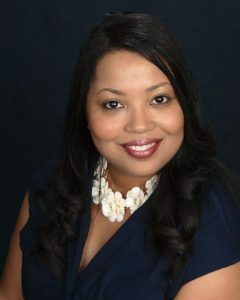 She is a member of Texas Society of CPA, National Association of Black Accounts, American Institute of Professional Bookkeepers, She is the co-founder of the Washington Foundation and Executive Director for Lil’ Jacob Learning Center. Tamika is a member of Alpha Kappa Alpha Sorority, Inc. and involved in various other community organizations.